For some time now there’s been a real debate over who the best player in the Premier League is. Countless names are thrown into the mix on a regular basis, but two who are consistently mentioned, and two that most fans would probably agree on, are Eden Hazard and Mo Salah. The two forwards, both so scintillating to watch, and both at the peak of their powers, represent two of the best players in world football, and the English game is a brighter prospect because of them. That being said, you would struggle to find any Liverpool fans who would concede that the little Belgian is better than the Egyptian King, and vice versa when it comes to Chelsea and their former winger. So Reds fans will be left feeling more than a little bit smug to hear the Blues’ star man waxing lyrical of last season’s Premier League player of the year. Speaking to NBC recently, Hazard admitted that he was in awe of the Liverpool man, and that he tried to emulate his impressive on field exploits. 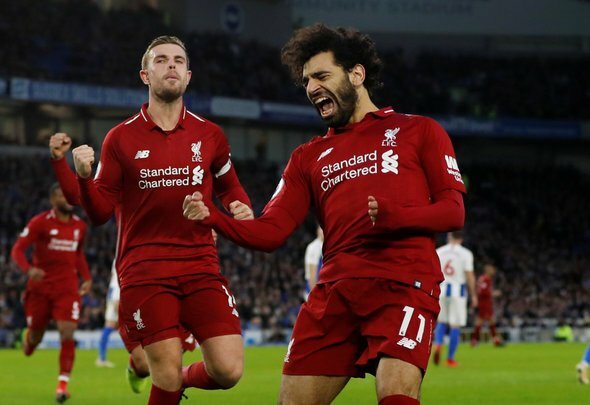 He said: “In the Premier League, Mo Salah is one of my good friends and he’s been doing something incredible for two years. This will have Liverpool fans leaning back in their chairs and grinning, and they will take it as an admission that settles the debate once and for all. It’s understandable that Hazard wants to be like Salah, especially during his unbelievably profitable first year at Anfield, but in truth, if you were to ask Salah, he would probably say something similar about Hazard. That’s the thing with having several players of that quality in the same league. You can argue and bicker back and forth all day long, but sometimes, when all is said and done, it’s nice to just sit back and enjoy them while you can.